SALT LAKE CITY, UT, April 16, 2013 – America’s National Park Service was established in 1916 to manage and protect the nation’s wild treasures. Fifty years later, Holiday River Expeditions https://www.bikeraft.com/ was founded (est. 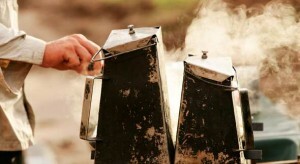 1966) and has grown into one of the leading rafting and mountain biking tour operators in the Western U.S. In celebration of National Park Week, April 20-28, 2013, Holiday River has cut the price of several park tours by as much as $200 to inspire travelers to get out and enjoy the nation’s “Best Idea”. Canyonlands National Park was established in 1964 to preserve and protect a vast wild region of parks, forests, red rock canyons and ancient Native American sites drained by the Colorado and Green Rivers. Holiday River Expeditions is offering savings of $100 to $200 off on select Cataract Canyon rafting, White Rim mountain biking and Combo bike and raft trips if booked on or before April 26. Designated in 1915, Dinosaur National Monument located on the southeast flank of the Uinta Mountains on the border between Colorado and Utah at the confluence of the Green and Yampa Rivers covers a 210,844-acre backcountry regarded by paleontologists as America’s finest treasure-trove of fossils and dinosaur bones. Recreationists have discovered equal value in its whitewater for rafting and kayaking and along its twisty trails for single track mountain biking. 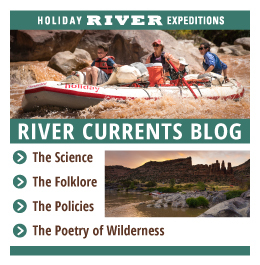 Holiday River Expeditions wants to honor the spirit of the region with $100 to $200 savings on their four day Lodore Canyon – Green River or four and five day Yampa Canyon whitewater rafting adventures and its seven day Combo bike and raft trips if booked on or before April 26. To reserve a trip and experience uncommon savings (Holiday River Expeditions runs such promotions only on rare occasions) please call 800-624-6323 or 801-266-2087, email [email protected] or visit online https://www.bikeraft.com/. In observance of National Parks Week, from Monday, April 22 to Friday, April 26, all national parks will waive any entrance fees. On April 20, National Junior Ranger Day, parks will invite young visitors to “explore, learn, protect” and be sworn in as Junior Rangers. April 27 is Volunteer Day and individuals and groups are asked to pitch in with a project at a park near them. With 401 national parks coast-to-coast, every American is less than 100 miles from a national park experience.